Get cash for your Toyota today! Sell your Toyota today and get immediate payment when we pick up your car. We purchase Toyotas in every city across the United States, sell your Toyota now. In order to get started, please fill out our simple form, or give us a call at 1-800-407-1969. We look forward to giving you top dollar for your Toyota. Easy – Only takes 3 easy steps to get cash for your Toyota today. Price – Due to our extensive network of buyers/auctions throughout the United States, National Cash 4 Cars is able to offer you the highest price for your Toyota. Free Pick-up – Our drivers are able to come to all cities across the United States to pick up your Toyota, and give you your money on the spot. Courteous – National Cash 4 Cars works with its customers across the United States to ensure the smoothest selling experience of their Toyota, and strongly values the lifetime partnership with our customers. Stress Free – National Cash 4 Cars buys any Toyota make or model, running or not. We buy Toyotas in all types of conditions. Get top dollar for your Toyota today! The following makes are just some of the Toyotas that we pay top dollar for: 4Runner, Avalon, Camry, Celica, Cressida, Echo, Highlander, LandCruiser, Matrix, Minivan, MR2, Spyder, Paseo, Pickup, Previa, Prius, RAV4, Sequoia, Sienna, Solara, Starlet, Supra, T100, Tacoma, Tercel, Tundra, Vanwagon. Cash for your Toyoa. Sell your Toyota today! Expertise – Over 50 years of automotive experience, we are standing by to purchase your Toyota today! The concept of selling a used car is not a new one. There are in fact many ways to go about selling a vehicle that is no longer roadworthy. In some instances, one will be able to find an individual buyer that will purchase the car, but this is relatively rare. Other methods of selling a junk car include towing it to the junkyard and selling it as scrap metal or taking it apart and selling off the components to used car parts shops. However, a cash for cars Toyota sale is probably the easiest way to dispose of a car that cannot be sold on Craigslist or via the local newspaper classifieds. Cash for cars companies specialize in buying Toyota vehicles. No matter what condition the car is in, the company will purchase it for a reasonable sum of money. Such companies will also usually tow the vehicle from the seller’s house at their own expense. Do Cash for Cars Companies Offer the Best Deal? A person who is selling an old vehicle will naturally want to get the best possible price for it. If the car is still in reasonably good condition, a person can probably get a pretty good deal for it by selling it to an individual buyer (however that will often take months, if it even gets sold). However, most people looking for a used car will only purchase a car that is in reasonably good condition and does not have high mileage. If a car has high mileage, serious engine problems and/or has been in a serious car accident, it will be nearly impossible to sell. Junkyards will buy a car no matter what condition it is in; however, they do not offer a good price for the vehicle. The price the car is sold for will be determined by how much the metal weighs; furthermore, one will have to pay to have the car towed to the junkyard in order to sell it. Taking the car apart and selling the parts can be lucrative, but it is also a lot of hard work and nearly impossible to sell all parts. The easiest and best way to unload a car is to use a cash for cars company. 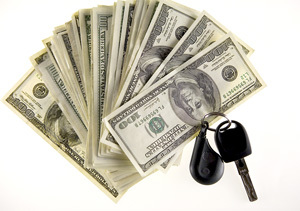 Selling a car to a cash for cars company is by far the simplest way to sell a used car. Such companies will not only offer a good price for the car but will also tow it free of charge. Cash for cars companies have a simple, easy to fill out form on their site, allowing buyers to offer a car for sale and get an appraisal without having to take the car to the company. No matter what condition the car is in, a cash for cars company will be willing to purchase it. A cash for cars Toyota sale is a simple yet lucrative way to sell a Toyota that most individuals would not be interested in buying. Such companies will pick up the car within 24 hours, offer a good price for it and tow it at their own expense. Those who having a hard time selling an old Toyota car or van for sale should seriously consider contacting a cash for cars company to get rid of the old wreck in exchange for a tidy sum of cash.